Find free classified ads for Antiques for sale, collectibles for sale for sale and to buy in Bristol. Shown below are classifieds for Antiques for sale, collectibles for sale. Please use search box above to find other items in Antiques for sale, collectibles for sale Bristol or look at the Bristol for neighboring places in the locality. We sell premium quality Christmas trees, stands and lights across Bristol and Bath. https://www.aliandjoes.com/. Akinhandicraft provides you the classy and royal Home Decor, Handicrafts, Antiques including viking horn, nautical items, copper items, wooden games, antique telephones and much more. For more information : www.akinhandicraft.com , Call : +011-23231420 , 9811423240..
Akinhandicraft provides you the classy Home Decor, Handicrafts, Antiques including viking horn, nautical items, copper items, wooden games, antique telephones and much more. For more information : www.akinhandicraft.com , Call : +011-23231420 , 9811423240..
john william water house oil on canvas 1896 mint condition.and a mothers pride of tigers. by silvia duran. very very collectable.as to 350 each. hi i have a kitty.s tea party oil on canvas.by hatty brooker very collectable. also framed. ‘Cash in your Attic’? Want to put it ‘Under the Hammer’. 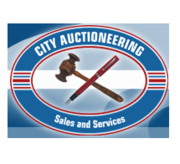 City Auctioneering is now taking entries for our antique, collectible and original/limited edition art sale on the 29th September 2010 and the 1st of December 2010. Please contact Richard on 07796242029 to enter your items now. Vintage/classic cars, Wine, Militaria, First Edition Books, Contemporary Art, Fine Art, Ceramics, Jewellery, Furniture, Modern Collectibles, Antiques all welcome and more!!! I am on hand to view your house clearances, to catalogue and report on valuable items. FOR SALE speed freaks car subaru with skid mat and box NEW! would make a great birthday present. £25 ONO Cadbury Heath. -- £25. Telephone: --. HPI WHEELY king hpi wheely king radio controlled 4wd truck this is a proper rc and not a cheap argos toy this cost £239.99 last ... £120. Telephone: --. PAIR OF victorian leather chairs Pair of victorian leather chairs with barley twist legs and bar well worn leather with rips (shabby Chic), original horsehair ... £50. Telephone: --. FORD FOCUS Orange and White, 4 Wheel Drive, On and off road tyres included, immaculate condition, call Mark for more details. £80. Telephone: --. ART DECO Mannequin Jewellery Holder Evoking the glamorous evening wear of the 1920s and '30s. This item is made of painted resin and features 6 ... £15. Telephone: 07876 XXXXXX / 07876 XXXXXX. STAR WARS comics. Limited edition signed copies. Immaculate condition. A great collectors set. £50. 01275 XXXXXX / 07811 XXXXXX Bristol. BIG DOLLS house, fully furnished, with working lighting, suit 10yrs upwards or collectors £500. No offers. --, Yate, Bristol. WOODEN TEA caddy not sure on the age of this, but in fantastic cond.velvet lined.all welcome to have a look £45. Telephone: --. LOUIS RODERER 1996 crystal champagne Very collectable bottle of crystal champagne on one of the most popular vintages - 1996 £2000. Telephone: --. FOUR WEDGEWOOD calinder plates 1997 1998 1999 2000 still in boxes with plates hangers £5 each Bristol, --. £5.00 , --.. ANTIQUE FLAT Irons Four antique flat irons in good condition as shown, believed to be of French origin. £9 each or all four for ... £9. Telephone: --. MINICHAMPS OPEL Astra H GTC/Sport Hatch Minichamps Opel/Vauxhall Astra H GTC/Sport Hatch road car Silver in colour c/w box Excellent condition ... £12. Telephone: --. COLLECTION OF 5 pounds coins Small collection of 5 pound coins also golden jubilee 50p coin 2002, 1953 five shillings, 1931 one penny, 1938 half ... Telephone: 07747 XXXXXX. PRAKTICA SUPER TL3 German Camera Great condition antique and beuatiful camera. Includes Pentacon 1.8/50 lens all in great condition plus leather case and strap. Bargain. ... £30. Telephone: -- / --. ANTIQUE GLASS lampshades x 3 - excellent condition! I have for sale 3 antique glass lampshades in superb condition. One white & brown marble with ... £19. Telephone: -- / --. GARDEN ROLLER, old style made from concrete with steel handle, in good condition, would make a good ornamental feature, bargain £15 £15. Telephone: -- / --. SAVAGE TRUCKZILLA!!!! Savage 25 truckzilla hotbodies with6.0 engine MONSTER!!! Savage25 4.6, lightning stadium 2 buggy, suburu nitro car, ford focus wrc, 1/5 scale petrol buggy millions of spares ... Telephone: --. N GAUGE BR Class 04 0-6-0 shunter No. D2258 in BR blue with wasp stripes. Graham farish N gauge diesel shunter runs very well in ... £30. Telephone: -- / --. BACHMANN OO The Coaler Coal Traffic Freight Train Set (30-010) An excellent starter train set with a Great Western Railway 0-6-0 pannier tank engine with ... £35. Telephone: --. THE ART of War betrayal, DVD, with Wesley Snipes I'm having a clear-out (in anticipation of all the new things I expect from Father Christmas) ... £4. Telephone: 07044 XXXXXX. POOLE POTTERY Dolphin Collectible Large Blue/Black coloured Poole Pottery Dolphin, approximately 12" long x 7" high. Excellent condition. £15. Telephone: 07044 XXXXXX. AVERY BERKEL balance scales and weights very old brass scales with stamps on each pan dating back to 1903 they are balance scales so you ... £300. Telephone: -- / --. OLD OLYMPIA TYPEWRITER HERE IS A OLYMPIA TYPEWRITER SUPPLIED BY ROBERTS OF BRISTOL AROUND ABOUT THE 50'S AND COMES WITH A DUST COVER WITH THE ... £80. Telephone: --. ANTIQUE PRINTS X 2, Good For You Guinness advert, guaranteed date circa 1961 and Sunblest advert, guaranteed date circa 1950's, excellent condition. £15. Telephone: -- / --. United Kingdom free classified ads for Antiques for sale, collectibles for sale, Bristol, Antiques for sale, collectibles for sale free ads Bristol, Antiques for sale, collectibles for sale for sale Bristol, Antiques for sale, collectibles for sale to buy in Bristol. This page is a listing of classified ads for Antiques for sale, collectibles for sale category in Bristol. This section includes classifieds for sale and to buy in Bristol. Antiques for sale, collectibles for sale Bristol ads Bristol, Antiques for sale, collectibles for sale classifieds Bristol, Antiques for sale, collectibles for sale free ads Bristol, ads for sale Bristol, ads to buy Bristol, FREEADS in UK. Find here ads for sale, to buy and rent in Bristol. Goods for sale in Bristol, vehicles for sale in Bristol, Bristol real estate for sale, Bristol property for sale, property for rent in Bristol, business ads in Bristol, Bristol business classifieds, services in Bristol, Bristol services ads, jobs in Bristol, pets for sale in Bristol, Bristol dating, Bristol cars for sale.